Today, the world is moving towards technology, faster than ever before with the amount of data increasing every day. To maintain the rhythm, we need to process data dynamically and not only to store and analyse them but also to update them constantly outside of your firewall. The first term that strikes to our mind when we talk about the bulk of data is Big Data which describes the large volume of data both structured and unstructured. It is further analysed for the vision that leads to better decisions. There are 3 V's associated with big data- variety, volume and velocity. Although VoltDB believes velocity as a problem that requires a different approach designed to manage "Fast data." 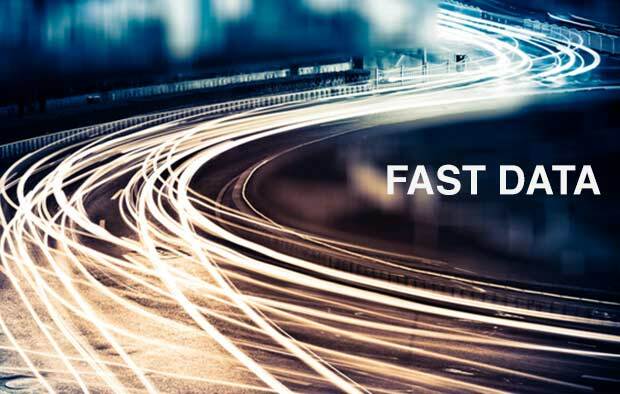 Fast data is different from Big Data. Big Data is said to be a large amount of data at rest that takes up lots of space whereas Fast data is data in motion. It is the technology with the ability to analyse, decide, and work on the data as soon as data has arrived. The Fast Data trend is the acknowledgement that information is acted upon in real time is more beneficial for an organisation rather than examining it in a regularly scheduled report. Microsoft has been working on fast data and provides with a wide variety of choices to address the Fast Data. Microsoft provides fast data in SQL Server Analysis Services, Azure SQL Data Warehouse, Power BI,Azure Data Lake which is basically for the data scientists who needs to start building solutions. It offers HD Insight, Data Lake Store and Data Lake Analytics through the implementation of fast data. Another fast data offering by Microsoft includes Azure Machine Learning which is focussed on the data scientist and developers interested in the field of forecasting algorithm or who wishes to indulge in data science intelligence in their software through API implementation. It is basically a cloud service which allows you to build, implement and share presaging analytics solution. As Big data is efficient as its rate of analysis otherwise there is no access to real-time suggestions or analysis for a better outcome. But with fast data information becomes more accessible, meaningful and beneficial to an organisation due to which it is expected to reach out in the market with a great success.